Recently there have been a slew of decisions on the matter of allowability of Input Tax Credit by various High Courts including Hon’ble Rajasthan High Court and Rajasthan Tax Board. This article aims to critically analyse the effect of recent judgments in terms of provisions of Rajasthan Value Added Tax Act 2003 and earlier judgments relating to Input Tax Credit delivered by Bombay and Delhi High Court. 1. RAJASTHAN HIGH COURT IN THE MATTER OF SHREE BALAJI TRADING COMPANY VS. STATE OF RAJASTHAN & ORS. (S.B.CIVIL WRIT PETITION NO.5388/14). b) Deposit of Tax Collected by the selling dealer in the series of Transaction: The second issue was if the selling and purchasing dealers have collected and deposited the tax on the value of the underlying sale, whether any anterior or posterior link in the series should have bearing on the transactions. Indisputably, a registered dealer other than the dealers covered under sub-section (2) of Section 3 or Section 5 of the Act are entitled for input tax credit in respect of the purchase of any taxable goods for the purposes specified under Section 18 of the Act, to the extent and in such manner, as may be prescribed. Analysis of the Judgement: Therefore the issue on which the matter was remanded by the Hon’ble Rajasthan High Court was that the firstly the Assessing Authority discarded the purchase transaction holding it as not genuine and secondly tax was not deposited by selling dealer, without considering the submissions of the petitioner and material placed on record by the petitioner. The Judgement although lays down clearly that a transaction can only be held ingenuine provided the submissions submitted by the assessee are verified and enquired and should not be summarily rejected without them being considered in entirety and objectively. 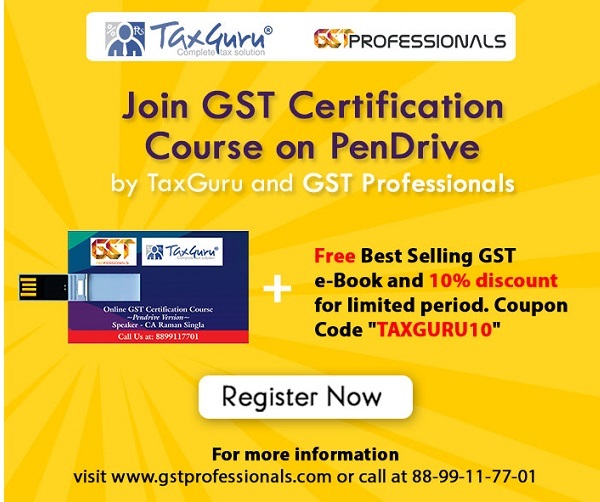 There was no specific findings of law on provisions of Input Tax Credit however only an observation was made regarding the allowability of the Input Tax Credit for the purposes specified under section 18 to the extent and in such manner as may be specified and as per provisions of Section 18(3)(v) providing for genuineness of purchase. “It is clear in the instant case that the allowance of the ITC under the Act is solely governed by the section 18 of the Act and it cannot be influenced by the assessment proceedings of the errant or tax defaulters dealers and undoubtedly is fiercely independent of the charging sections of the assessment proceedings provided in the Act in this regard. Analysis of the Judgement: Thus it has been very clearly and categorically held by Hon’ble Divisional Bench of the Rajasthan Tax Board that Input Tax Credit would be allowed to the buyer only when the selling dealer has deposited the tax collected. The decision is a landmark decision in many ways than one as it has now put an end to the controversy arising out of differing judgments of the Bench of the Tax Board on the basis of Judgement of Apex Court in the matter of Suresh Trading Company and secondly it has now distinguished the provisions of Haryana Vat Act and thereby distinguishing the decision of Hon’ble Punjab and Haryana High Court in the matter of Gheru Lal Bal Chand with respect to the provisions prevailing in Rajasthan Value Added Tax Act. “Section 19 (1) states that input-tax credit can be claimed by a registered dealer, if he establishes that the tax due on such purchase has been paid by him in the manner prescribed and that was accepted at the time when the self-assessment was made. The pre-revision notices and the orders clearly stated that the petitioner-dealer had paid the tax to the selling dealer. If that be the case, it was held that the petitioner’s case therein squarely fell under the proviso to Section 19 (1) of the Act. Further, it was another matter that the selling dealer had not paid the collected tax. The liability had to be fastened on the selling dealer and not on the petitioner-dealer which had shown proof of payment of tax on purchases made. Distinguishing the applicability of the Judgement of Hon’ble Madras High Court in context of Provisions of Rajasthan Value Added Tax Act: It can be observed from above that condition for allowability of Input Tax Credit in the Tamil Nadu Value Added Tax Act was that the tax due on the purchases has been paid by buyer to the seller in the manner prescribed. Once the purchaser has paid the due tax on purchases, the fact that the selling dealer has not paid the tax collected from the purchaser is all together a different matter and liability in such cases cannot be fastened on the purchasing dealer but has to be fastened on the selling dealer. This condition is very different from the condition existing in Rajasthan Value Added Tax Act which provides that the purchasing dealer has to prove that tax has been deposited by the Selling Dealer to the Government Treasury. Therefore the decision of Hon’ble Madras High Court has no applicability in the context of provisions appearing in Rajasthan Value Added Tax Act. The Hon’ble Delhi High Court also held that Input Tax Credit cannot be disallowed to the purchasing dealers if tax has not been deposited by the selling dealer. It would be pertinent here to mention that this decision was relating to the provisions which existed in Delhi Value Added Tax Act prior to 1st April 2010. The Statute at that time did not contain pre-condition regarding mandatory deposit of tax by the selling dealer for allowability of the claim of Input Tax Credit to the purchasing dealer. The decision of Hon’ble Delhi High Court also lays down that the law as prescribed by Hon’ble Bombay High Court. Therefore, the decision of Rajasthan Tax Board is also in line with the principles as enunciated above by Hon’ble Delhi High Court. Thereby it can be seen that Hon’ble Bombay High Court in its land mark Judgement dealt with the issue of allowability of Input Tax Credit in case there is default in payment of tax in a chain of sale by one of the dealers. a) Issue of disallowance of Input Tax Credit as per the provisions of Rajasthan Value Added Tax Act on account of the sole reason that Tax has not been deposited by selling dealer: Although Hon’ble Rajasthan High Court did not pass any clear finding in this regard but the decision of Rajasthan Tax Board is based on the principles enunciated by Hon’ble Bombay High Court and Hon’ble Delhi High Court and further it has clearly distinguished the decision of Hon’ble Haryana High Court and Hon’ble Madras High Court. Therefore as the situation stands today, Tax Credit as per the provisions of Rajasthan Value Added Tax Act would not be allowable to the purchasing dealer if tax has been not deposited by the selling dealer. b) Disallowance of the Tax credit in the matter of chain transaction of sales, where one of the dealers has defaulted in the chain of transaction of sales with regard to the payment of sales tax: The decision of Hon’ble Bombay High Court in the matter of Mahalaxmi Cotton Ginning lays down the guideline. c) Procedure to be followed for assessing the genuineness of transaction of Purchase for the purpose of claiming of Input Tax Credit: The decision of Hon’ble Rajasthan High Court lays down that a transaction can only be held ingenuine provided the submissions submitted by the assessee are verified and enquired and should not be summarily rejected without them being considered in entirety and objectively. If the selling dealer’s TIN NO. is cancelled then where to show purchase from the party mentioned above in VAT 7A. Every thing is clear in all this judgement….. Very nice article…a concrete and comprehensive analysis. Very good article. Writer have done indept study and analysis of subject.